Welcome to North Bali Trekking Paradise! 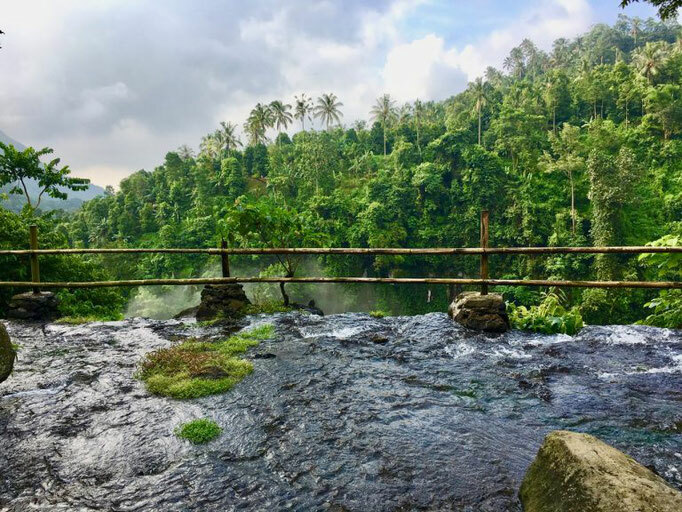 Our 5 hours hiking tour leads you through scenic views on rainforest mountains and green rice terraces to one of the most breathtaking spots on Bali: The Fiji and Sekumpul Waterfalls. The trail starts at Lemukih village, and right here the beginning reveals a picture-perfect idyll: Intense green rice terraces behind those the jungle climbs up the mountain slopes. 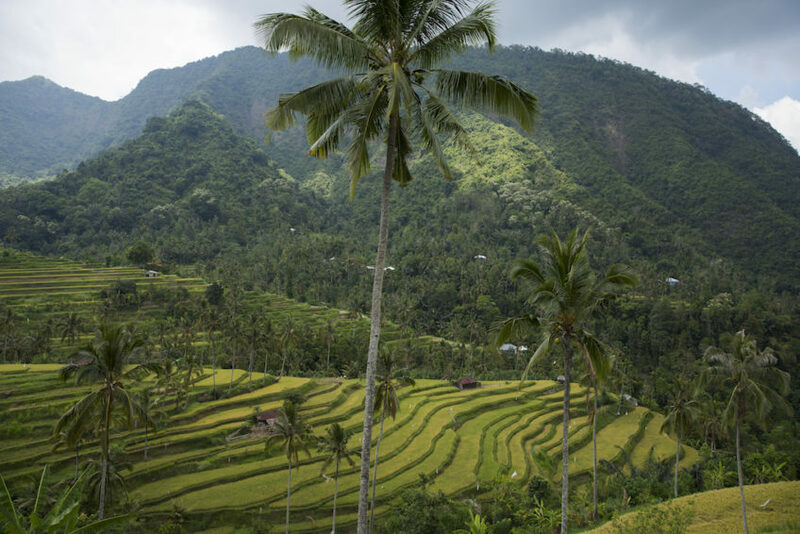 It is easy to walk through rice terraces and along the river in unspoilt nature. First stop is at a 20 meters long natural river slide. Enjoy - and feel like a child again ;). 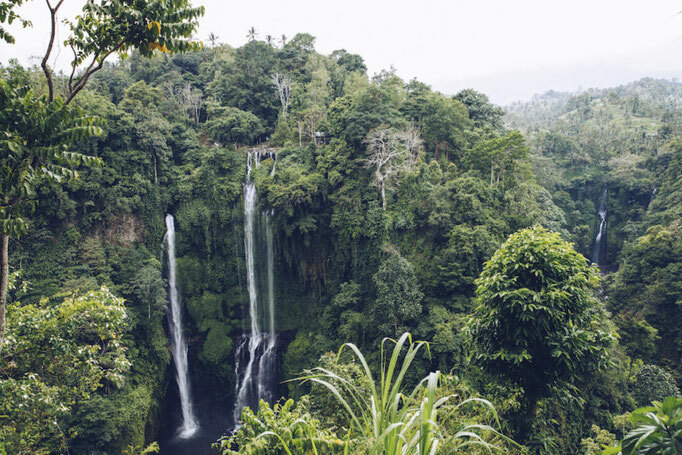 You cross the river and reach a hilltop view point with scenic view to the top of all three Fiji Waterfalls. Stunning! But it get's even better: Your next stop are the Holy Springs, all-natural mountain springs creating a huge Pool - which pours out to the higher of the two Sekumpul Waterfalls. A thrilling - but magic - moment to stay on top of the 90 meters high fall – Infinity Pool par excellence!! From here, the trail leads down stairs into the gorge to reach the pool levels. Time to stroll around and swim in the natural pools, or simply relax or medidate in the powerful energy of the falls before you have to climb up the way back again. Your lunch break at Warung Fiji with stunning view on the rice paddys is well deserved! Enjoy your lunch and cold fresh coconut - and take some more wonderful pictures on the panorama swing (Fiji Swing)! So - and if you inspired now and like to experience this breathtaking scenery for yourself - just drop us a line! Price for the big swing at the gorge: 50K IDR per person. Please see the situation before you decide! 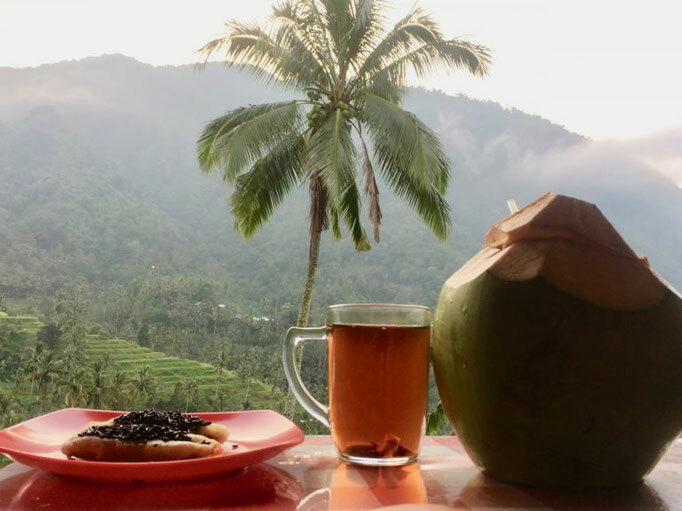 Do you do pick up service in Ubud ?